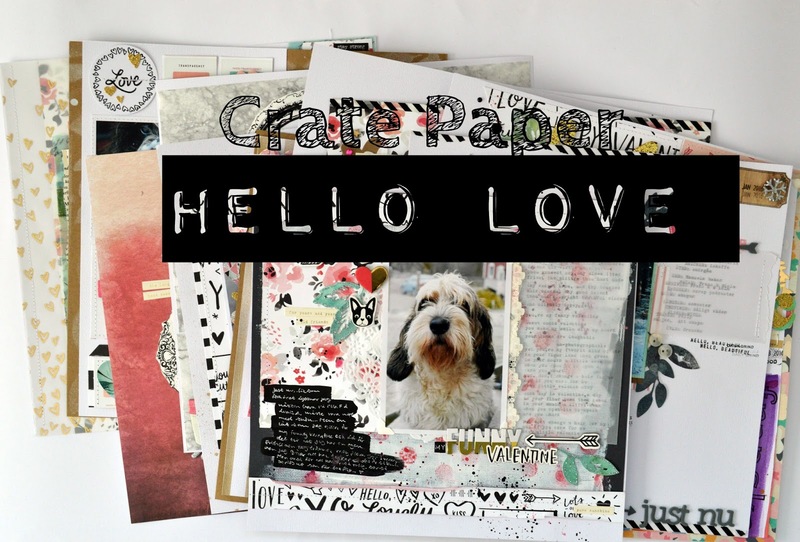 Today I have a sort of recap of the Crate Paper "Hello Love" collection, what I made with it and what I though about it, I think you can guess! 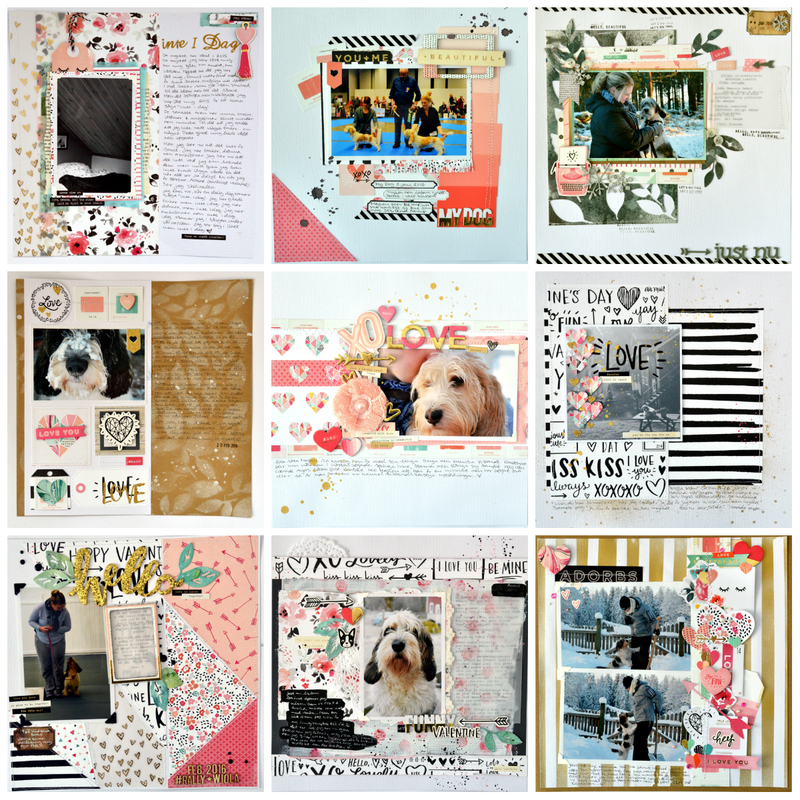 I have really enjoyed working with the Crate Paper "Hello Love" collection and I have made many layouts, 9 of them I really like! This page is one of the first ones I made when I got the "Hello Love". It's titled "Not today" and it's about me learning about myself and that it's okay to have an off day. That I may have a hard day or very negativ thought but that is not me... That is the bad day and that will pass. I knew I wanted to journal allot here so I went with one of my favorite designs, the half & half. One part is journaling and one is more "scrapbooky". I used that amazing floral and vellum under the layered photo. This page is a very happy, girly page about baby Majken and how sweet and weird she is. She has satrted to run inside only to stop and throw herself on the floor like Anja Persson! It's so cute! I really like the fun and cute feel of this page and all the gold! Here I did a band across and worked with pink and gold, the journaling I placed under so that the title and photo would be the focus. My sewing-machine has been working hard this month and I love it! Here I started with a 6x12 panel,(half & half again) made a grid and then I sawed around the pieces. The craft background is sprayed with white "Heidi Shine" through the negative space from die-cutting, like the ones I have used here. I really wrote allot here, about W, and why I love here so much. I have made sooo many pages about this dog and sometimes they don't say anything, or anything new but I have so many cute photos of her I can't stop! I have really enjoyed working with this collection and I can honestly say that, because I have hardly anything left! I bought it, I used it ans I have loved it. I know it can be hard using all of thous pretty things but now I have many pretty pages and I had a blast working with them! My favorits must have been the thickers, the papers and of curse the colors!! !